Today, 19 November is World Day For Prevention of Abuse and Violence Against Children. 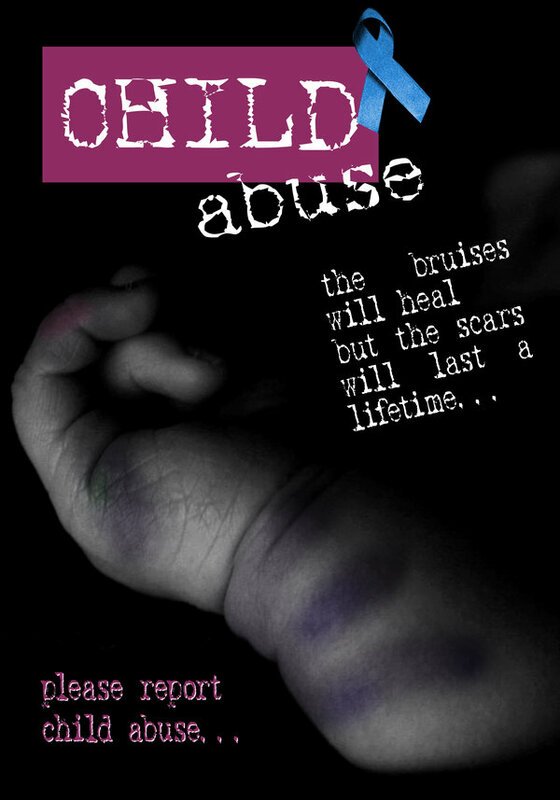 The sad reality of abuse and violence against children is that it’s prevalent all the world over. Sometimes closer than we think…in our own homes even. Last year, I wrote about someone I knew who was a victim and I could give you countless cases of people I’ve met who have been victims either of sexual abuse or physical violence as children. The stories go on. The violence goes on……. The positive thing is that we’ve started to sit up and take notice. Victims are daring to speak. I believe the more we talk, read and write about this terrible evil, the more we are aware, the better we are equipped to act. Now for some facts via UNICEF. Physical violence against children includes all corporal punishment and all other forms of torture, cruel, inhuman or degrading treatment or punishment as well as physical bullying and hazing by adults or by other children. ‘Corporal’ (or ‘physical’) punishment is defined as any punishment in which physical force is used and intended to cause some degree of pain or discomfort, however light. Most involves hitting (‘smacking’, ‘slapping’, ‘spanking’) children with the hand or with an implement – a whip, stick, belt, shoe, wooden spoon, etc. But it can also involve, for example, kicking, shaking or throwing children, scratching, pinching, biting, pulling hair or boxing ears, caning, forcing children to stay in uncomfortable positions, burning, scalding or forced ingestion. What do you mean by sexual violence? Sexual violence comprises any sexual activities imposed by an adult on a child against which the child is entitled to protection by criminal law. This includes: (a) The inducement or coercion of a child to engage in any unlawful or psychologically harmful sexual activity; (b) The use of children in commercial sexual exploitation; (c) The use of children in audio or visual images of child sexual abuse; and (d) Child prostitution, sexual slavery, sexual exploitation in travel and tourism, trafficking for purposes of sexual exploitation (within and between countries), sale of children for sexual purposes and forced marriage. Sexual activities are also considered as abuse when committed against a child by another child if the offender is significantly older than the victim or uses power, threat or other means of pressure. Consensual sexual activities between children are not considered as sexual abuse if the children are older than the age limit defined by the State Party. Aggression – does the child display extreme, unexplained anger and aggression over everything? Bruises – Does the child display marks or bruises from hurt that looks unlikely to be caused by play? Depression – Does the child lack enthusiasm and seem depressed and refuses to talk about what’s troubling her? Experimenting – Have you noticed or been informed about the child experimenting sexual behaviour with other children, younger siblings or toys? Fear – Does the child demonstrate fear of certain people, darkness, certain places? Guilt – Does the child display extreme feelings of guilt or shame? UNICEF’s #ENDviolence #ItStartsWithMe campaign aims at raising awareness about different forms of violence, including physical, emotional, sexual and child marriage. My heart goes out to children who are suffering from abuse instead of enjoying their childhood. They are forever marked. I hope more adults learn to protect them. I hope they find peace in their hearts and acceptance as well. I hope they step out and use their scars to heal those who are also hurting. Let us all do our share in stopping abuse and violence especially to the innocent.